Porsche has created a special series of the 911 Carrera and Boxster. The combination of black paintwork and black interior emphasises the timeless and classy elegance. The combination of black paintwork and black interior emphasises the timeless, classy elegance of the sports car. The standard equipment on the 911 Carrera and Boxster Edition models includes Porsche Communication Management (PCM) with navigation module, automatically dimming rear-view mirrors, rain sensor, cruise control and Sport Design steering wheel. 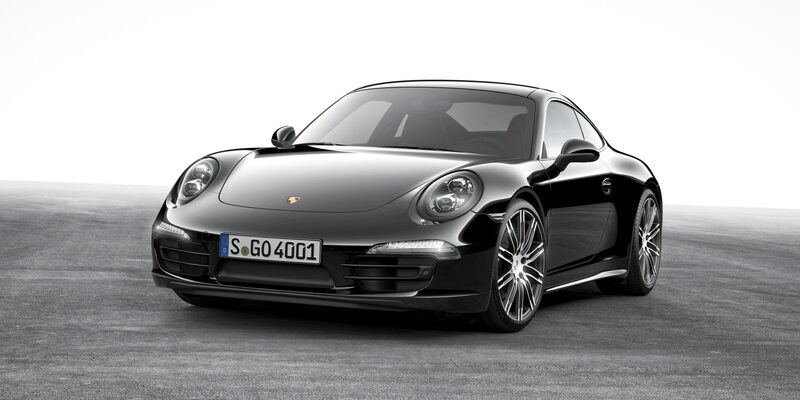 The 911 Carrera Black Edition is based on the basic model with a 3.4 litre flat engine developing 350 hp (257 kW). It is offered as coupé and convertible versions with rear-wheel or all-wheel drive. The special edition runs on 20-inch 911 Turbo wheels and the LED headlights including the Porsche Dynamic Light System Plus (PDLS+) are part of the standard equipment. The black interior simply looks sophisticated. The driver and passenger sit on heated sports seats, and the standard Bose Surround Sound System provides excellent sound quality. In addition, operating the 911 special edition is effortless due to the telephone module and Park Assist at front and rear, which includes a reversing camera. The Boxster Black Edition is certainly no less attractive. The mid-engine roadster is powered by the 2.7 litre flat engine with 265 hp (195 kW). The colour concept remains consistent when it comes to the soft top and rollover protection bar, which are both in black. The wind deflector helps to avoid undesirable turbulence when the soft top is down. The 20-inch Carrera Classic wheels and the bi-xenon headlights with Porsche Dynamic Light System (PDLS) set distinctive highlights. The driver and passenger can enjoy a higher level of personal comfort with the two-zone air conditioning and heated seats. The sound system in the Boxster Black Edition is the high-quality Sound Package Plus.